Construction on the second building with three classrooms is well underway and should be finished before the 2018 school year starts next February! One of the things Rosa Elena told us was a top priority was to have the three classrooms be convertible into an auditorium, to hold events of their own but mostly to rent out during days when the Free High School is not holding classes. 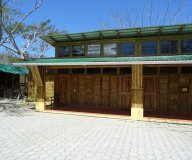 Currently San Juan del Sur’s largest space suitable for hosting professional events is at Villas de Palermo where our volunteer group stayed on the first two trips, and that venue accommodates only 50 people. We would be able to accommodate at least 100 in this auditorium at the beautiful Free High School campus. To make the three classrooms convertible into an auditorium, Austin and his team have been looking into putting collapsible partition walls between the classrooms. 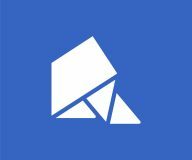 It’s an additional investment, of course, but one whose benefits and rewards should far outweigh the costs, so Random Acts is determined to make it happen! That’s why we’re coming to you again, our fundraisers, to ask for your help. 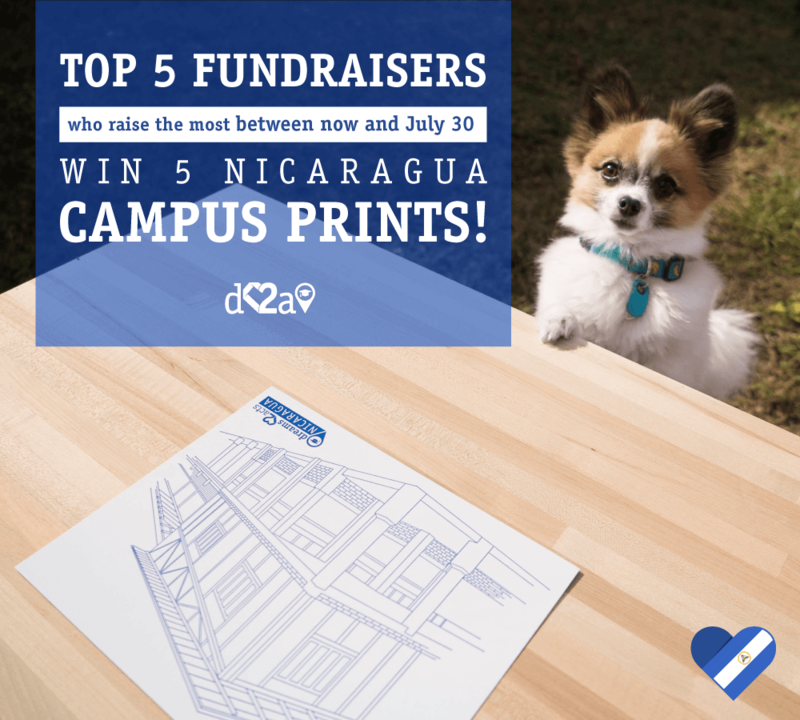 The 5 fundraisers who raise the most money between now and the end of the day on July 30th (EDT) will each receive FIVE (5) Nicaragua campus prints! You can offer them as donation incentives of your own in the coming months, or keep them, or laminate them and use them to decorate your underwater office. The applications are endless x 5! 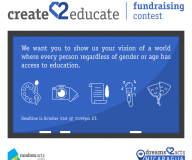 Next six fundraisers to reach $4,500 get a free pass to the finish line!